Peter Clarke returns as the new DCU Ladies’ Gaelic Football manager for the 2017/18 academic year. Clarke regains the helm of the ladies’ team which he managed to a three in a row of O’Connor Cup titles between 2009 and 2011. “He was with UCD last year and he was very successful, so hopefully he can bring us on further,” said DCU and Tipperary footballer Aishling Moloney. The senior team has progressed well in recent years losing out to old rivals UL last year in the semi-finals of the ladies’ senior. A championship which still resonates with Moloney. “Our ambitions for this year would be to make up for the O’Connor Cup loss and challenge for it this year”, said Moloney. Moloney points out to the need for new talent to emerge this year in the absence of leaders from last year’s team like Siobhan Woods. “Hopefully we can get some new freshers in and obviously then we have the likes of Sarah (Rowe) going good for us”, she said. Moloney personally hopes to challenge for a place on the Ladies’ team having been out with injury for five months last season and, alongside Mayo’s Sarah Rowe, make up a healthy DCU representation in the All Ireland finals. “I suppose my focus right now is with the Tipperary footballers and preparing for our intermediate final against Tyrone on Sunday”, said Moloney. 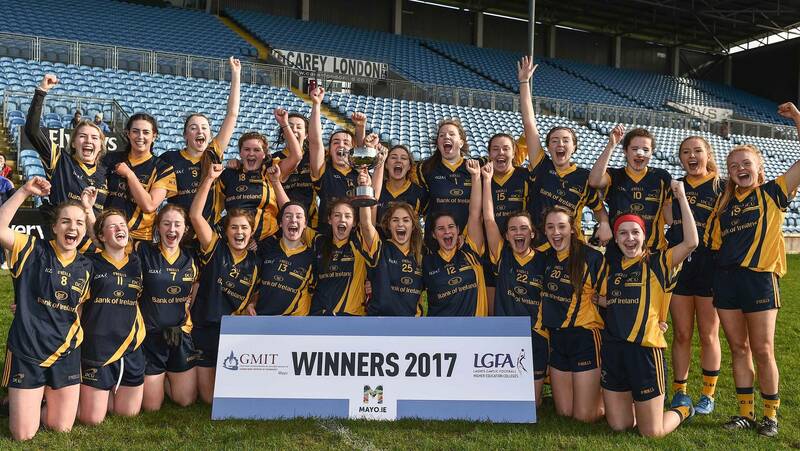 Having won promotion from division three earlier this year, Moloney and her DCU teammate Rowe will be crucial in Tipp and Mayo’s chances of glory on Sunday but will also be a force in the DCU Ladies drive for the O’Connor cup this year.